Successfully Added HD Pocket Camera to your Shopping Cart. 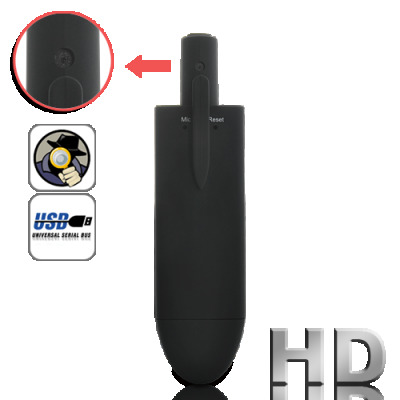 HD Pocket Camera - capture video and record audio, at any time, any place! High definition pinhole lens and stylish design make this new HD Pocket Camera an excellent choice for capturing video and recording audio. It's so small it fits in your pocket for you to use at any time and any place! Great for... professional and amateur detectives, recording sports, live events, and so much more! With the single press of a button you will always be ready to capture high quality 1280x720 hidden videos within a moment’s notice. Simply press the RECORD button once to record, and then press it again to stop and save. Recording quality HD Video has never been easier. While small in size, this HD Pocket Camera produces video that is unbelievably high in quality. Its 8 GB micro SD card (included free) can record hours of HD video that looks incredibly sharp when played back. Even better, the 0.1lux illumination lens allows you to get clear pictures anywhere, even in environments with very poor lighting conditions. Finally, the built-in microphone captures crisp, detailed audio, whether you're paddling down the Amazon or rockin' out at your favorite club. It is wonderful! It's the modern day notepad and a must have gadget for today's world. When life moves fast, This HD Pocket Camera provides you a chance to remember the moments. It is ideal for capturing sports, meetings, lectures, and much more. Available in single piece or bulk order, purchase a few today and start showcasing you talents and receive the respect you deserve! Brought to you by your extreme friends here at Chinavasion!